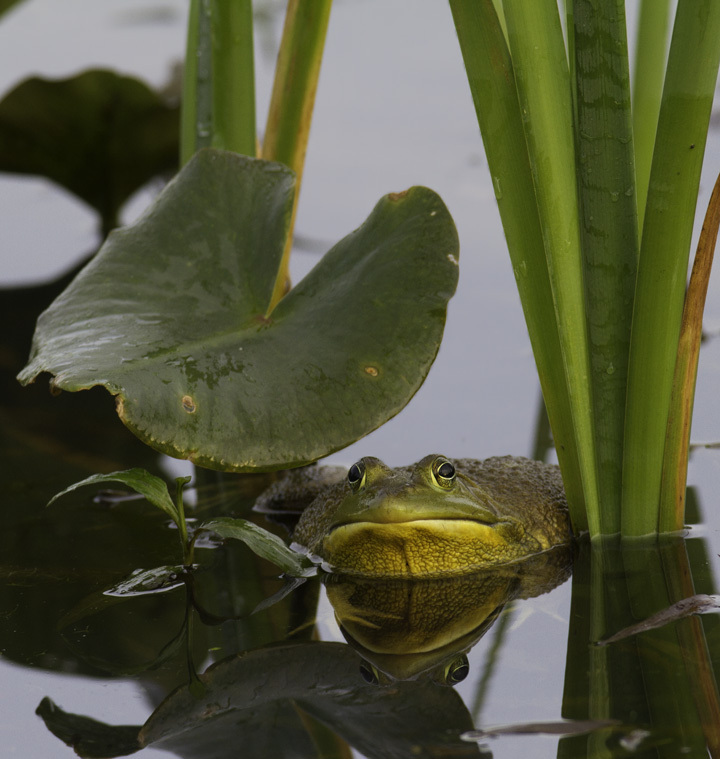 May in Maryland. 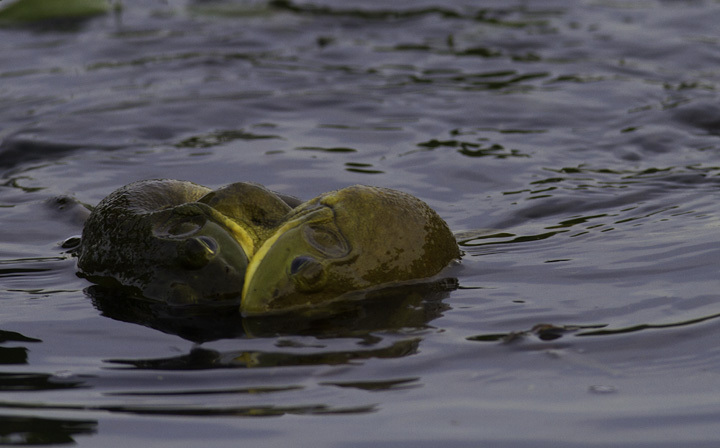 Last updated: 5/3/2011. 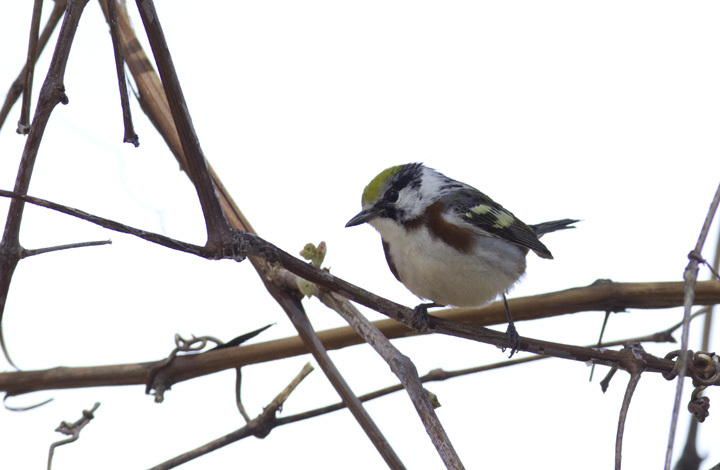 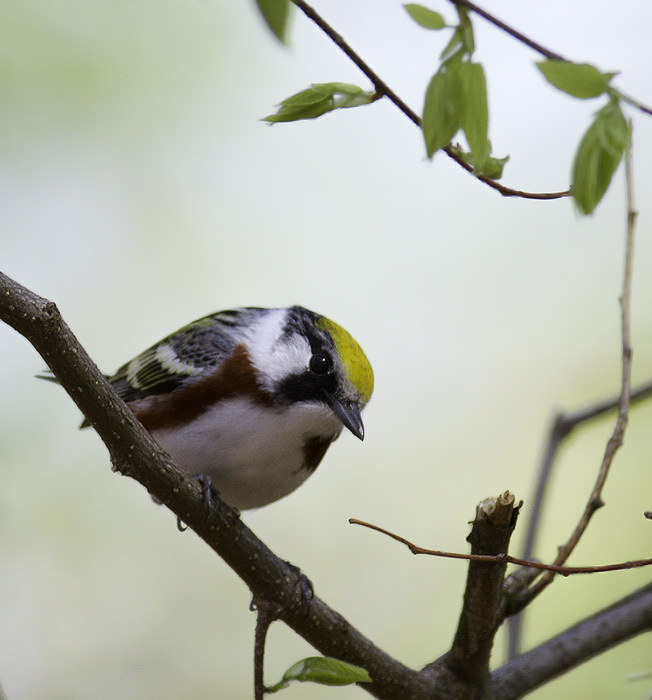 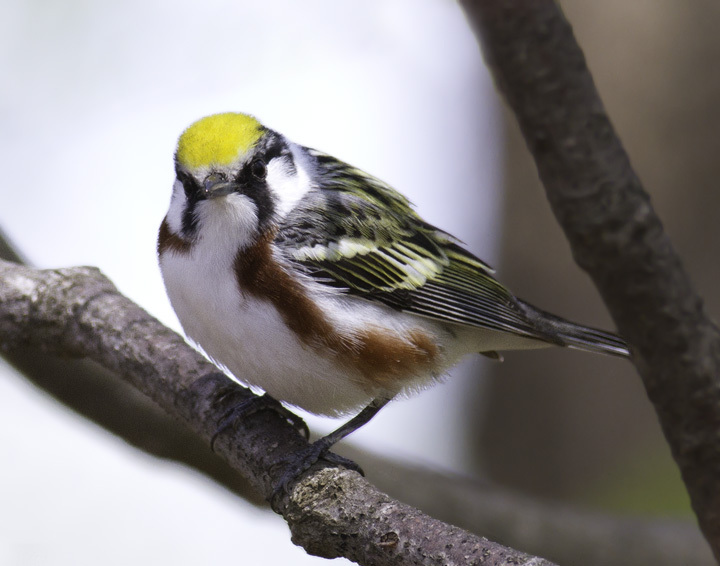 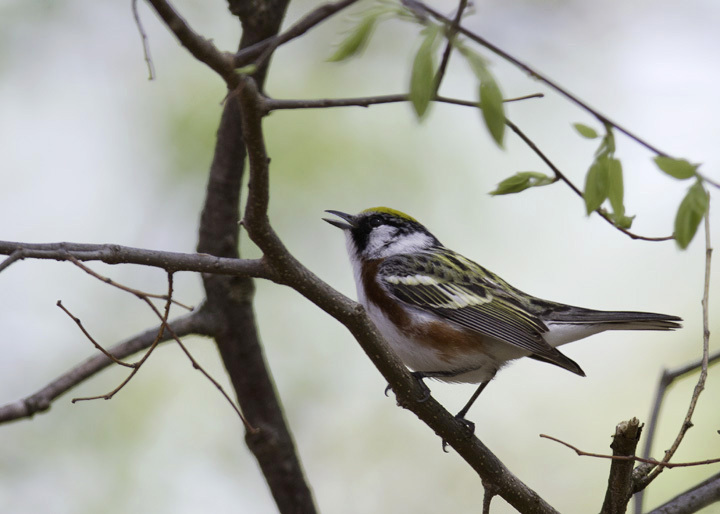 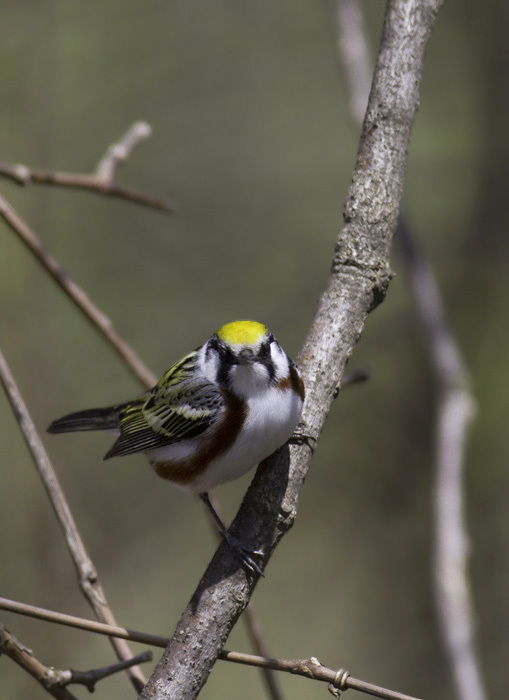 Above and below: A stunning adult male Chestnut-sided Warbler in Green Ridge State Forest, Maryland (4/30/2011). 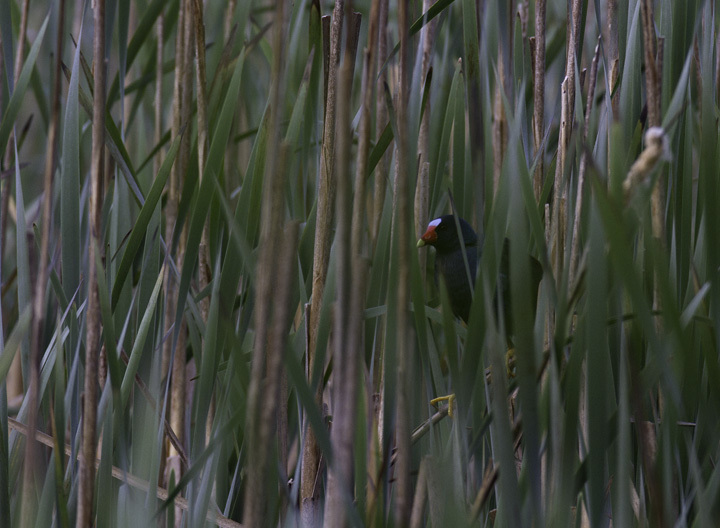 Below: A Purple Gallinule at Hughes Hollow, Montgomery Co., Maryland (5/3/2011). 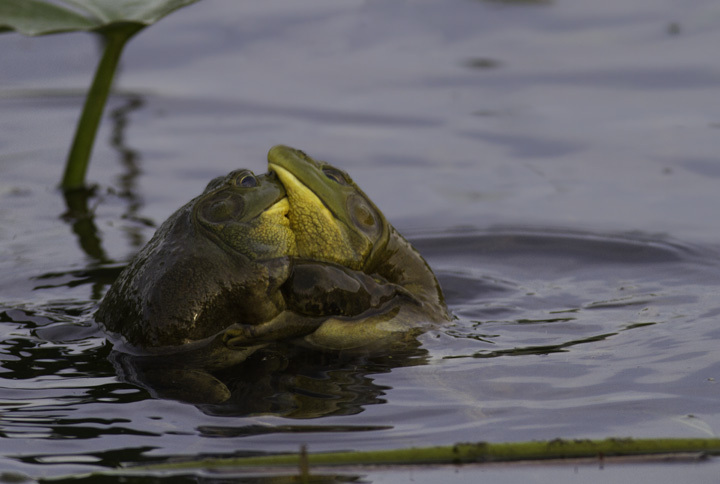 An excellent find by Dave Powell! 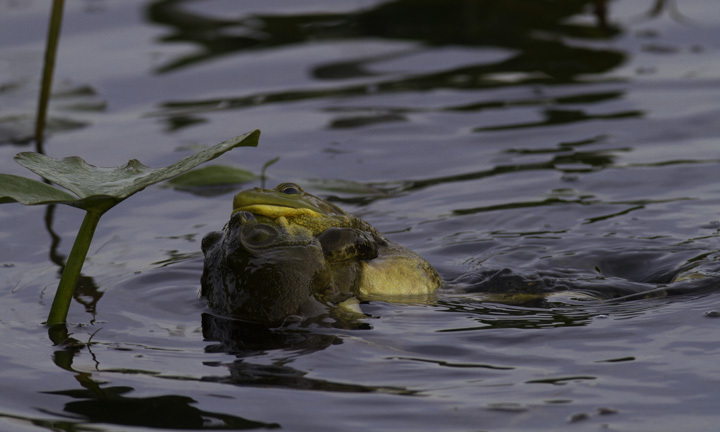 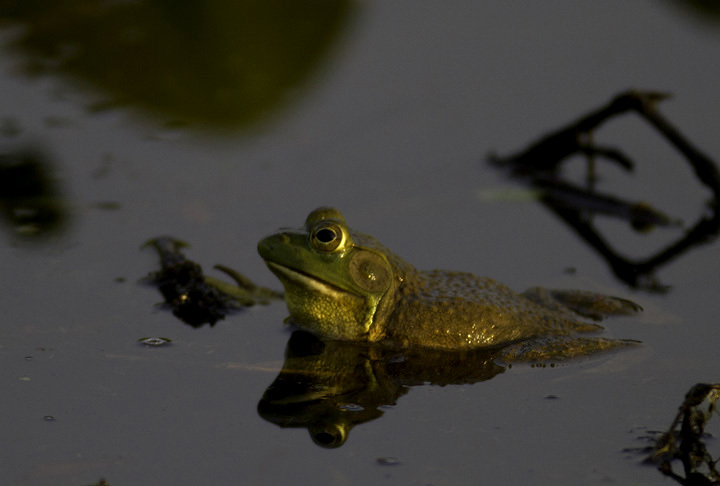 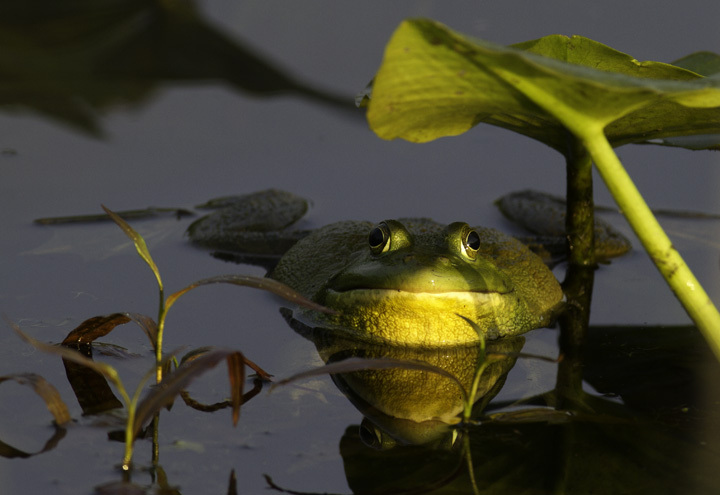 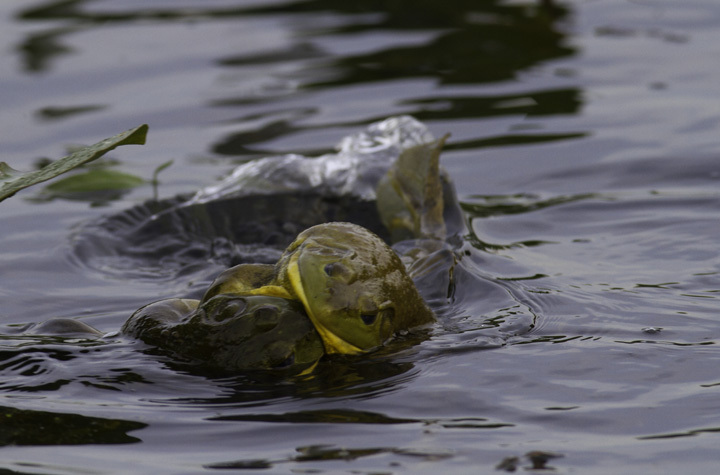 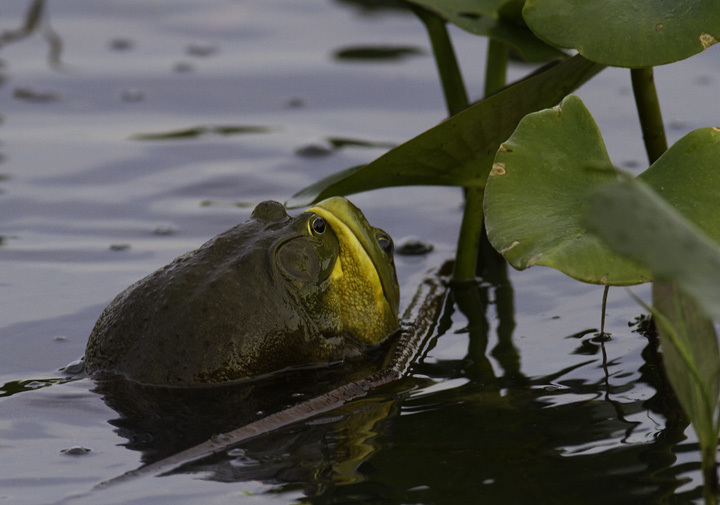 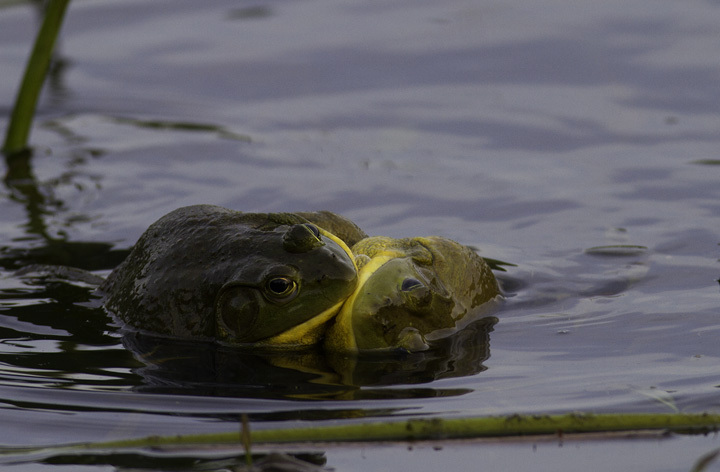 Below: Epic sumo matches between Bullfrogs in Montgomery Co., Maryland (5/4/2011). 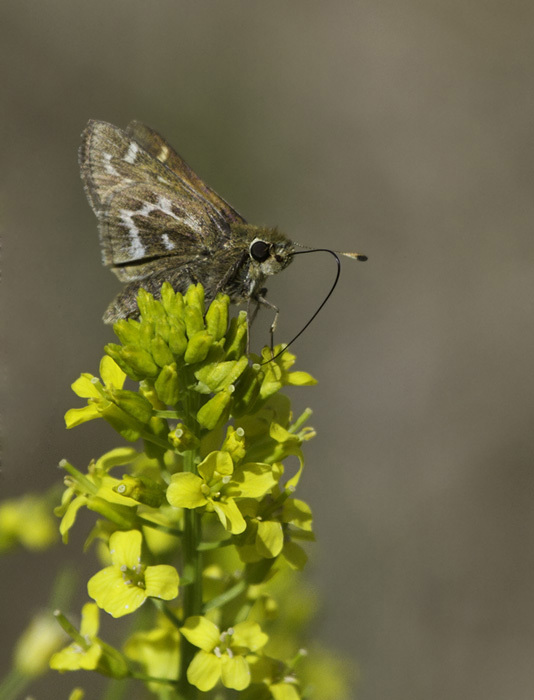 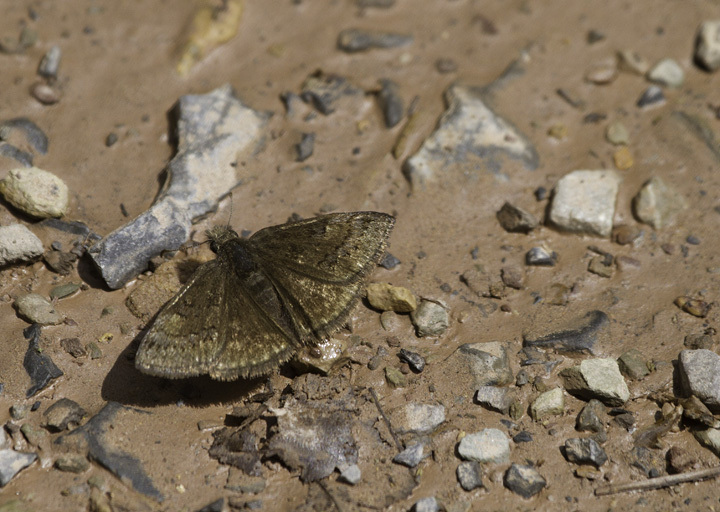 Below: A Cobweb Skipper in Green Ridge SF, Maryland (4/30/2011). 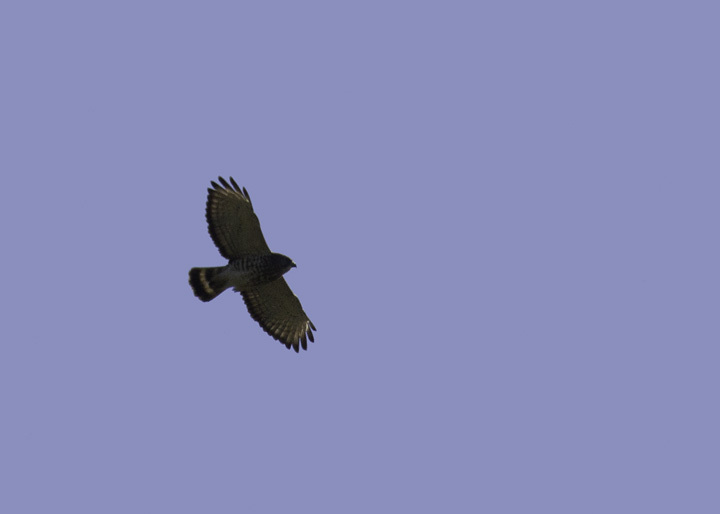 Below: A Broad-winged Hawk soars over Allegany Co., Maryland (4/30/2011). 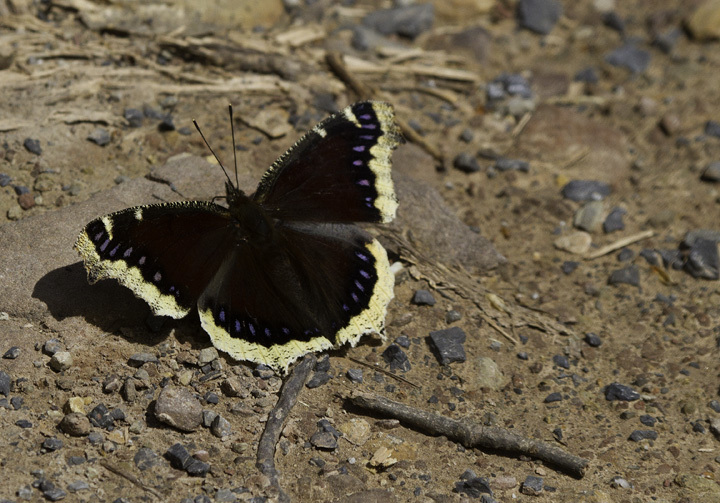 Below: A Mourning Cloak in Green Ridge SF, Maryland (4/30/2011). 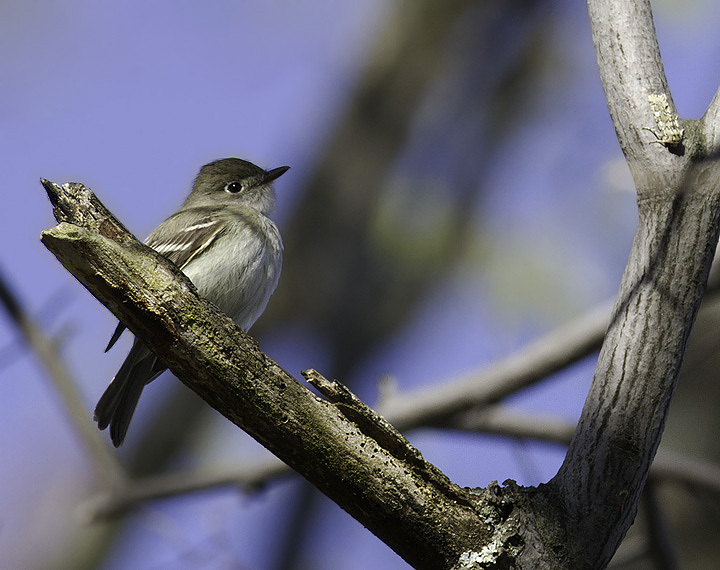 Below: One of three Least Flycatchers already on territory at Piney Reservoir, Garrett Co., Maryland (4/30/2011). 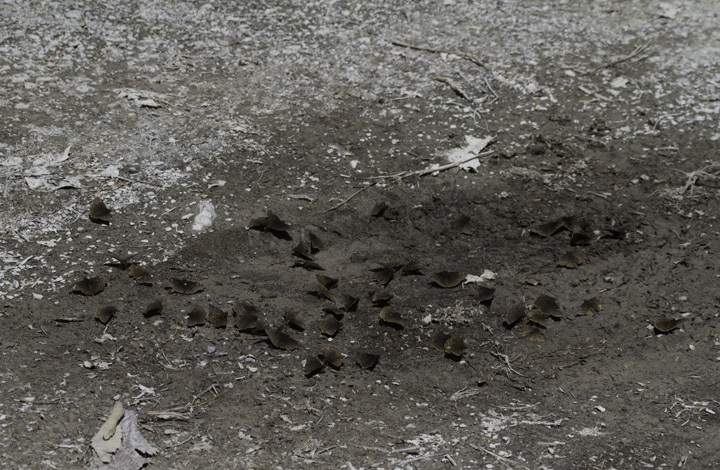 Below: A puddle of duskywings in Green Ridge SF, this group at least mostly Juvenal's Duskywings (4/30/2011). 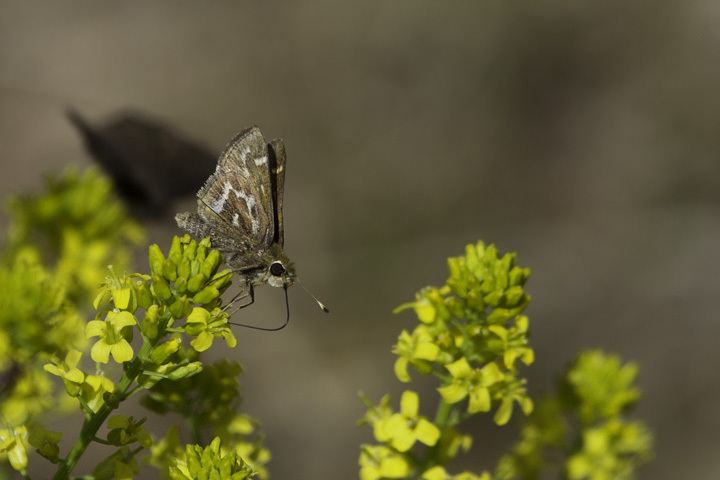 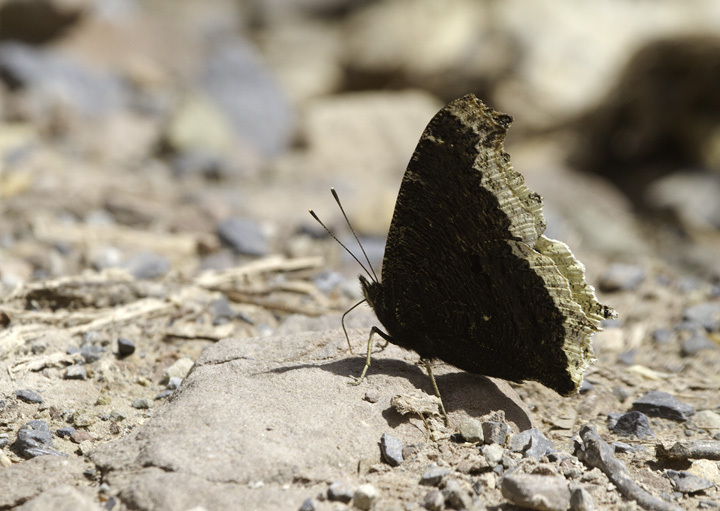 Below: A Sleepy Duskywing in Green Ridge SF, Maryland (4/30/2011). 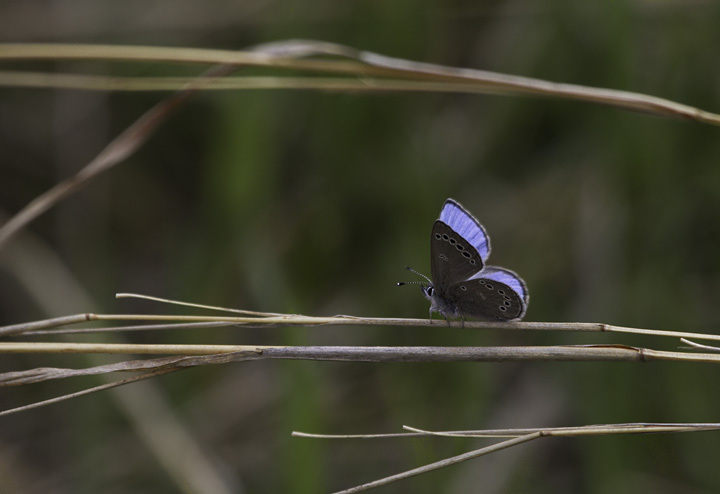 Duskywings are some of the toughest Lepidoptera IDs in Maryland, and the Dreamy/Sleepy complex is especially challenging. 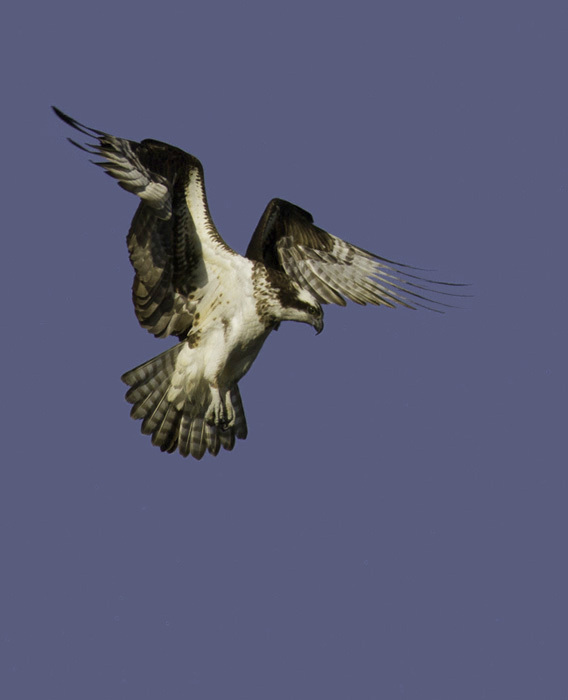 Below: An Osprey hovers before a plunge in Garrett Co., Maryland (4/30/2011). 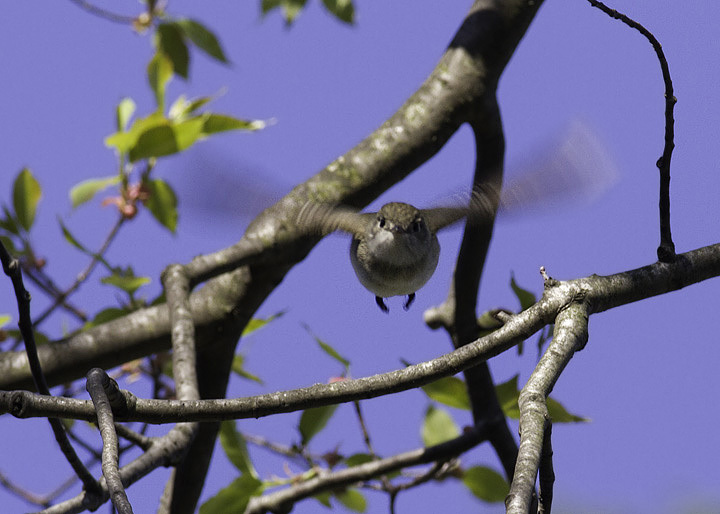 Below: A Silvery Blue in Green Ridge SF, Maryland (4/30/2011). 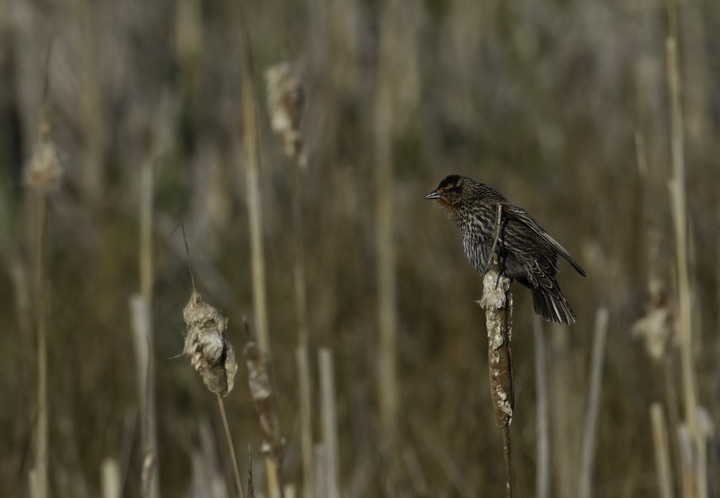 Below: An interesting Red-winged Blackbird, attracting our attention by especially bright plumage on what appeared to be a female. 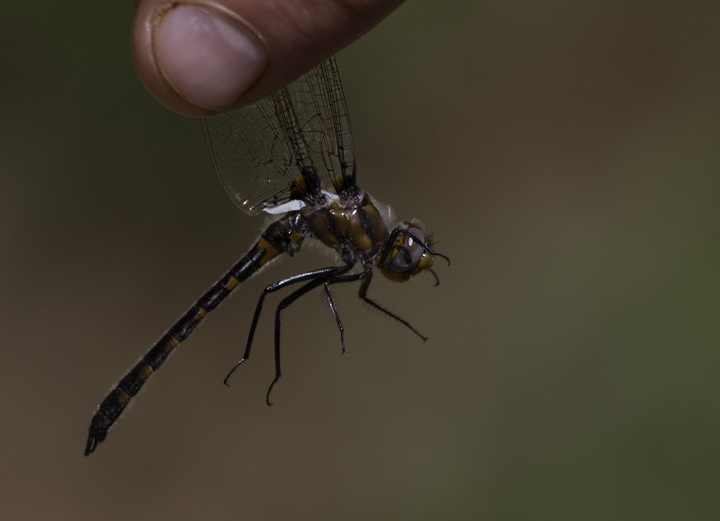 She appears to be an older female that has begun showing some male traits after changes in hormones. 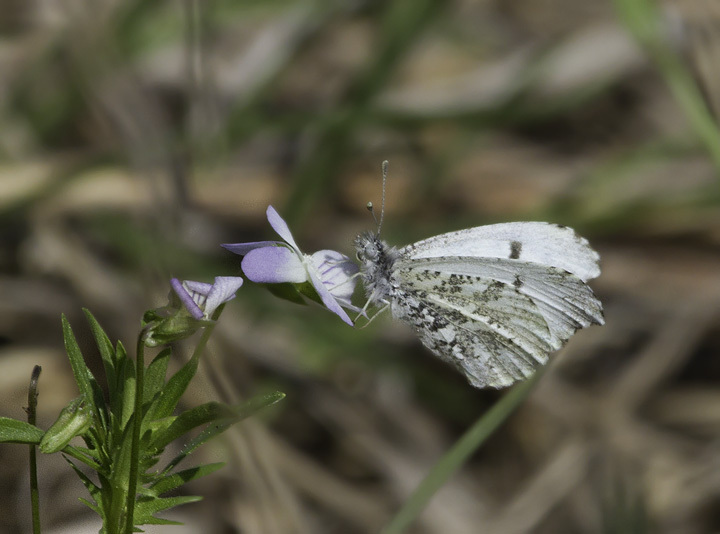 Below: A female Falcate Orangetip in Green Ridge SF, Maryland (4/30/2011). 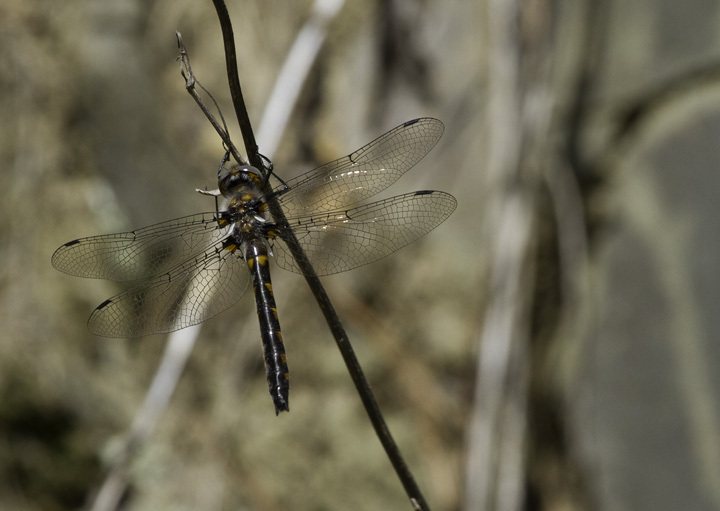 Below: A Uhler's Sundragon in Green Ridge SF, Maryland (4/30/2011). 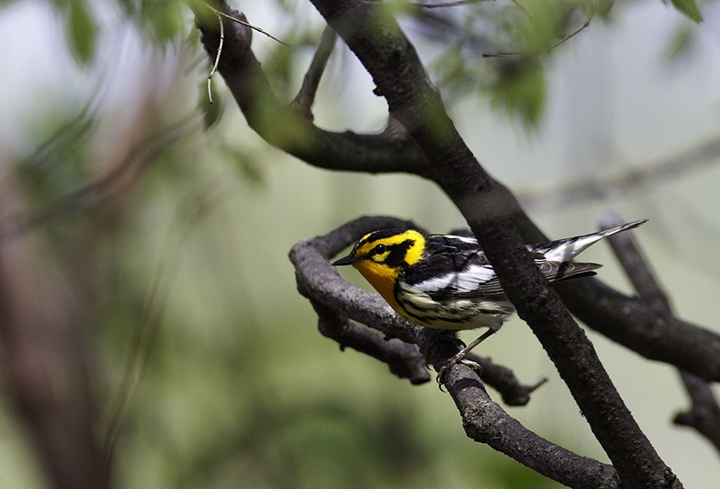 Below: A male Blackburnian Warbler in Green Ridge SF, Maryland (4/30/2011). 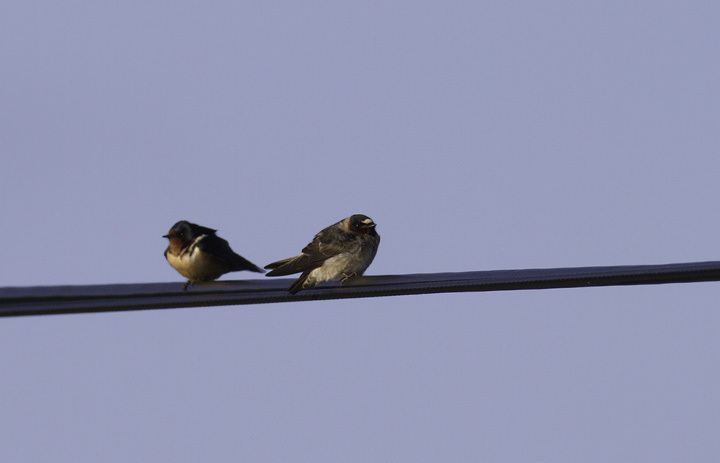 Below: A comparison of Barn Swallow (left) and Cliff Swallow (right) - Garrett Co., Maryland (4/30/2011). 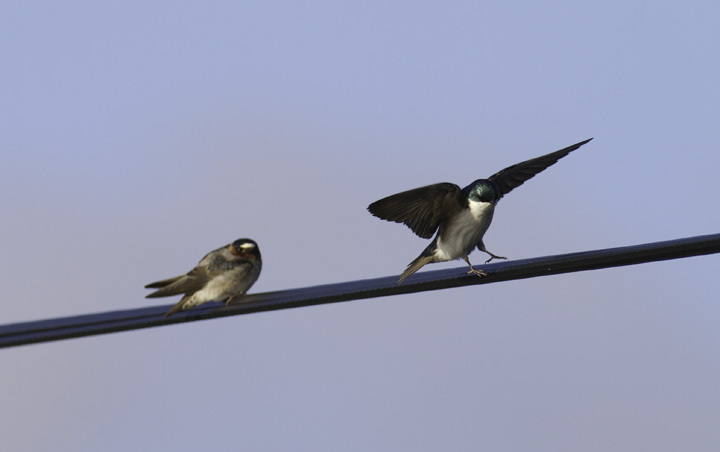 Below: A comparison of Cliff Swallow (left) and Tree Swallow (right) - Garrett Co., Maryland (4/30/2011). 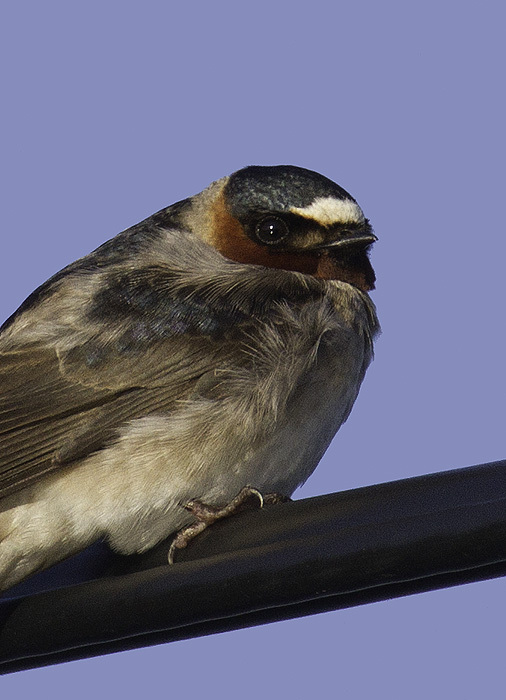 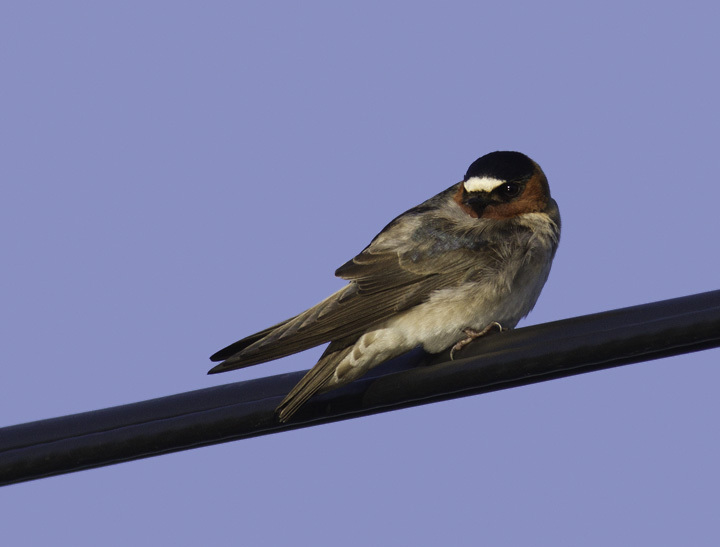 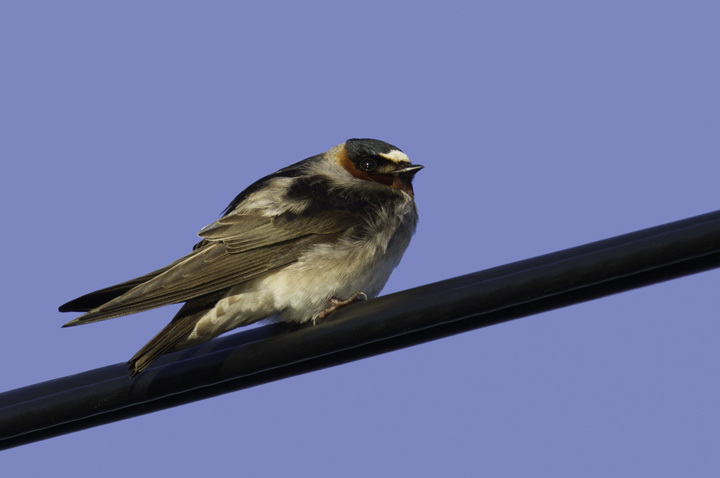 Below: A cooperative Cliff Swallow at Piney Reservoir, Garrett Co., Maryland (4/30/2011).